Information on the August 2017 Froebel Education conference. Do You Know the Story of Kindergarten? Most people attend kindergarten, yet few know its history. We still use the term without knowing why preschool has a strange German name. Established by Friedrich Froebel 180 years ago in Germany, Kindergarten was the first organized system of preschool education. Initially outlawed by Germany, it quickly spread to America and around the world, but remains controversial today. Froebel Kindergarten impacted American culture through architecture (Frank Lloyd Wright, Buckminster Fuller), organizations (NEA, ACEI, National Louis University, Stanford University), celebrities (Charles Dickens, H.G. Wells, and Helen Keller), cultural icons like the song "Happy Birthday," and other ways too numerous to list here. This series explains what Froebel originally intended Kindergarten to be, how that idea spread worldwide, and then mutated into our current preschool system. Our goal is to help parents and educators better understand the historical context of the current educational environment (standardized testing, homeschooling, Common Core) while highlighting those schools and teachers who are making a difference. More than simply a report card on the state of education, we show the decisions that led here and focus on the aspects still holding us back.. 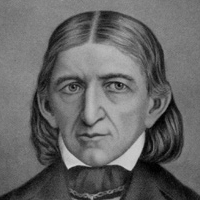 The original play-based, design education concept of Froebel Kindergarten was radically altered 100 years ago by John Dewey, G. Stanley Hall, and other educational leaders. 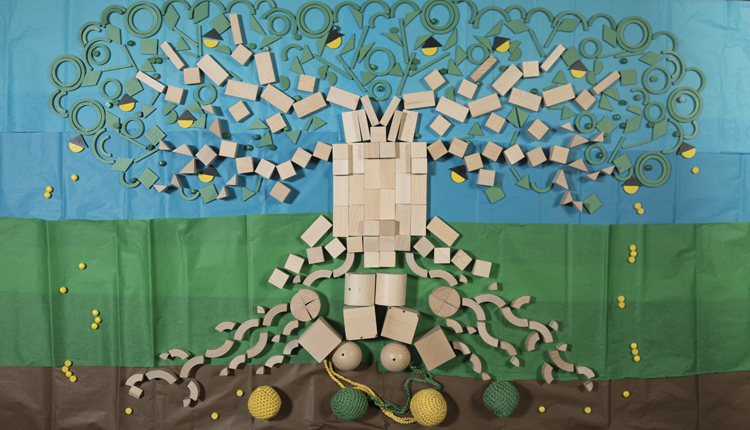 Today, the remnants of Froebel's work can be seen in the offshoots it inspired: Montessori, Waldorf and Reggio Emilia. It's a fascinating story, involving the US economy, culture, and arts ... including the work of Frank Lloyd Wright, Buckminster Fuller, and Charles Eames. Yet the story of Kindergarten has never been told on film. 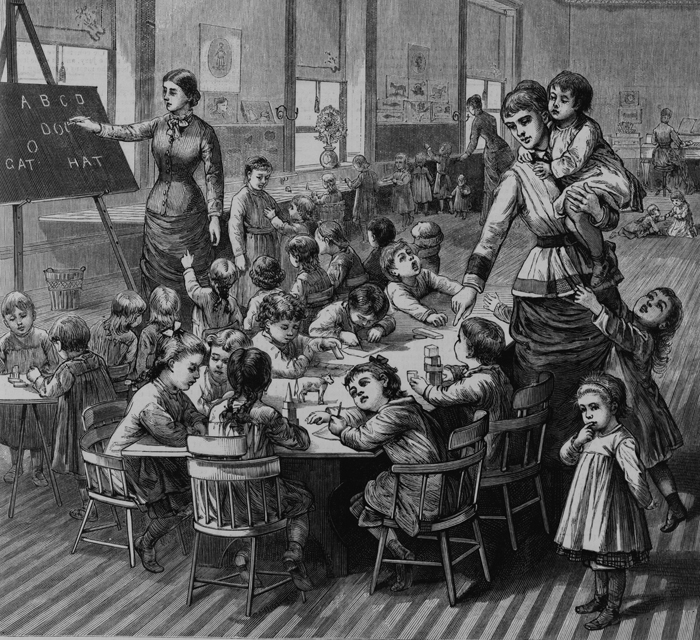 It weaves together the birth of our school system (including the founding of organizations such as NEA, ACEI), the school supply industry (Milton Bradley, J.L. Hammett) and how US education ended up as a top-down managed, curriculum-focused system dependent on standardized testing. The cast of characters include Horace Mann, Nathaniel Hawthorne, Elizabeth Peabody, Gen. Carl Schurz, and Phoebe Hearst. The Kindergarten story explains the origin of the pocket rubber comb and the song "Happy Birthday," the most widely recognized tune in the world. Many classic toys are the direct result of Kindergarten materials. The cultural impact of Froebel's work is immense, and using new interviews with top researchers in the fields of education, history, design, technology, mathematics, psychology, the full impact of Kindergarten can finally be seen. Filming is complete. The first 72 minute overview episode is viewable by sponsors/donors. Our producers are now seeking a platform/network for the remaining content. Here's a link to the 2017 trailer. Want to be notified when the film is out?